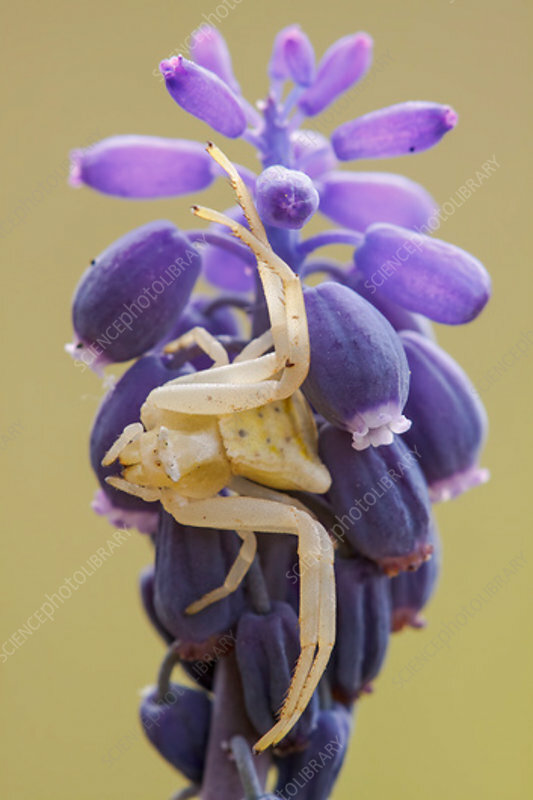 A crab spider (Thomisus onustus) hunting on a muscari flower. These spiders are ambush predators that inject venom into their prey. They commonly catch a wide range of insects. They change colour from white to pink to yellow depending on the colour of the flower they are on. Photographed in an old olive grove in Tuscany, Italy, in April.